Gambling is an art that has to be perfected in order to make money from it. There is always a thrill in the game plays, and even the betting atmosphere, but the actual thrill and excitement is in the winning. Many players play casino games for fun and use pennies to avoid losing any money. This conservative type of gambling can be boring over time because of insignificant rewards and the boring game plays. As opposed to many other activities, gambling has to be learned hands-on. You should not just read and assume that you have grasped the entire concept. Reading is the first step, but you certainly need to play the actual game in order to understand the dos and don’ts. In the process, a few winning strategies can be gained, and soon you will be headed to a winning streak. An online casino is an excellent place to learn how to gamble. They have several games which can be tried out without getting intimidated by other players. You can simply lock yourself in the house, spare some pennies and try out as many games as possible. Moreover, online casinos have a free play or demo play option where you can get acquainted with these games without the risk of losing any money. You can visit one of the renowned casinos for a chance to enjoy gambling without any disturbances. These casinos enable you to learn the rules of the games and the dynamics of each game. You may not learn many winning strategies by playing alone online, but you will certainly understand the casino games. This is a crucial first step when trying to learn these games. In addition, the casino sites can have guidelines or manuals about how to play various games. It is also essential to check out these manuals and get a grip of the theory of the games. Real land casinos are always a beehive of activity on a busy day. If you are totally new, it is easy to be confused and intimidated. Before you go to the casino, you should learn the theory of these games and perhaps try them out at an online casino. Do not be tempted to play slots the entire time and forget to learn real gambling. First, you can spot the tables that have professional players playing. You can then stand there and watch as they play paying keen attention to their moves. There will often be a few spectators staring with you so it shouldn’t be too weird. This will give you the opportunity to learn a few winning strategies and note the behavior and body language of players. Gamblers always display a certain decorum which makes them less predictable. These are some of the things you should observe in an actual casino. If you find a less busy table, you can join and play. Try to practise the things you have learned through your online casino experience and the casino spectator experience. If you are still shy, you can try the new skills on an online casino, preferably a live one. Another excellent source of information is the croupier. The dealer probably knows an uncountable number of tricks about gambling. 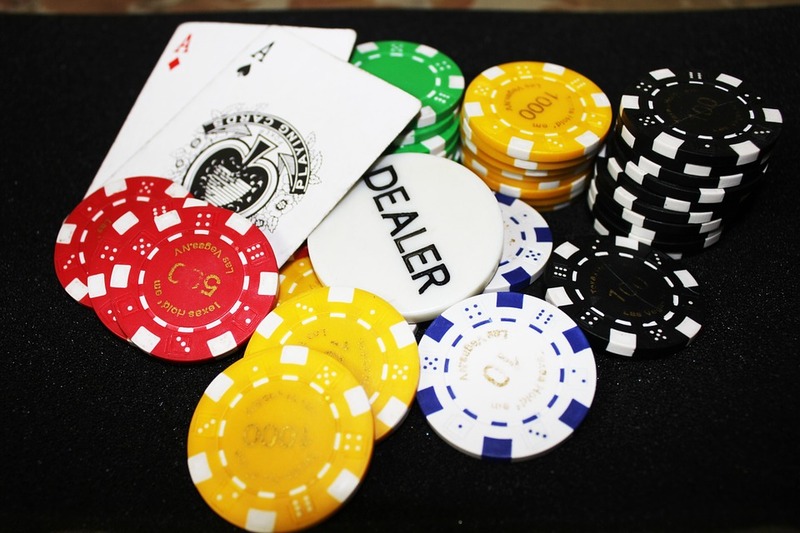 You can tip the dealer and try to strike a meaningful conversation with him or her. Do not try to compromise their jobs by asking sensitive questions because they will ignore you. Stick to general things and pick out a few tips that they may be willing to disclose. If you do this severally, you might just have enough to be rich. There are many movies that are based on casinos. Although most of them are exaggerated and display more than just gambling, you can watch and grasp a few skills. Some of the top casino movies can provide valuable lessons on how to gamble. They include Casino Royale, The Hangover, Ocean’s Eleven, 21 and Croupier. If you do not learn about the game, you may just get tips on how to conduct yourself in a casino and the games to play. There are numerous sites on the internet that contain lots of information about gambling. They provide excellent information about the different casino games, online casinos, winning tips and guidelines on how to play various games. You can also get reviews about different games and casinos which will assist you when selecting the games to play and where. YouTube can also be quite helpful when trying to learn about gambling. It contains gambling tutorials and exciting case scenarios in casinos that can lead to great wins. Instead of watching a movie on the internet, you can watch the videos about gambling and learn more. However, you should be careful when checking the internet content. Some of it may not be tried and tested while others may be false. Try to access the reputable sites and read selectively paying attention to the sense and leaving the nonsense. This is particularly important when checking winning tips because there are very few that actually work. If you find one, you can test it on an online casino. These are credible places where you can learn gambling. They enable you to learn the rules, the game plays and maybe a few winning strategies. Try them out and improve your skills.